Just like how the Zack Morris brick phone has been replaced by sleek and lightweight smartphones, your resume should not look the way it did back in 1995. Resumes are not what they were 20 years ago or even 10 years ago for that matter. Today, they require a completely different mindset and systematic approach. If your resume has the word “responsible,” or still contains an “objective,” consider it the death knell of moving onto the next step in the job search process. In today’s professional world, resumes have become strategic marketing documents that are the cornerstone of the interview process. With more than 60% of executives having their resumes professional written by a top writer in today’s times, and more than 72% of resumes not being seen by the human eye due to the advent of applicant tracking systems, it is incumbent that your resume be competitive in a highly competitive market. With less than 10 seconds to spare, your resume must appeal to the reader. Center your headlines, and make sure your headlines stand out from the rest of the content. The reason: a reader’s eyes naturally gaze at the center of a page and the headlines need to grab the reader’s attention. Do not use big blocks of text or long lists of bullet points. They can confuse the reader. That means long sentences are a no-no. Resumes used to be summaries of your work history. Today, with levels of competition rising, you need to stand out and apart from the hundreds of other executives and professionals applying for the same roles. A resume should leave room for later expansion during an interview. This is precisely why it is important for a resume to be a strategic marketing document that sells your value as opposed to it being a complex and lengthy summary of your work history. Separating key achievements and accomplishments from job functions is one sure way to be strategic. Use no more than 4-5 bullet points, and reserve those only for qualitative and quantitative achievements that help you distinguish yourself from the hundreds of other candidates. Give sales numbers, show revenue growth, mention awards and recognition you’ve received, and accentuate what made you a valued employee. Consider this: if you’re an attorney, you likely spend your days responding to discovery, drafting motions and pleadings, attending depositions, and arguing in court. A great way to distinguish yourself as a top-notch attorney is to consider your contributions and achievements as an academic and lead litigator on representative engagements. Expert Tip: Keep an ongoing list of key projects you’ve worked on, positive feedback from partners, and new client relationships you have built. The same goes for executives in other roles in sales, marketing, IT, engineering, and finance. However, do not engage in keyword stuffing and include non-relevant skills that don’t capture your true skill set. Be honest and forthright about your skills. A properly targeted resume will include a branding statement at the top such as “Award-Winning Pharmaceutical Sales Executive” with core areas of focus or value statements that encompass the branding. This also makes the resume more visually appealing to readers. Consider how you use the headline in your LinkedIn profile as a branding statement to effectuate greater readability and interest. An effective resume also contains a professional summary that is keyword-rich and targets successes in leadership, communications, and management that will include factual support in the resume to back up those statements. Much like a lawyer who creates a roadmap at the outset of a legal brief, your professional summary must be a roadmap to your resume and the accomplishments, contributions, and achievements that will be included and discussed. Allow the professional summary to provide a snippet of information about you, your career highlights, and key attributes to allure the reader. If you graduated top of your class, if you were on law review, or if you were a merit scholar, consider including those tidbits of valuable information at the outset of your resume so your reader knows the caliber of professional you are. Toss away the resume from 1995. Be modern, objective, and concise in your writing. Synthesize material and formulate it to sell your skills the best way possible. Your resume must be attention-grabbing and effective to communicate your value to an employer. Book a consult with us to speak about your resume and LinkedIn needs. 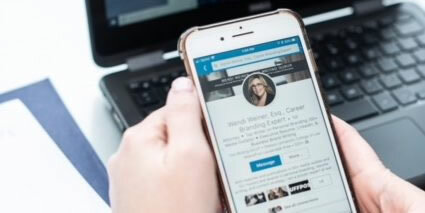 Let Wendi Weiner review the ways to improve your resume for the digital age reader. Learn what clients have to say about Wendi’s work and skill by reading Wendi Weiner reviews and The Writing Guru reviews. This entry was posted in Resume Writing, Resume Writing and Tips, Wendi Weiner Reviews and tagged resume tips, the writing guru, wendi weiner. Bookmark the permalink. ← Is Your Resume Writer Committed to Professional Development?